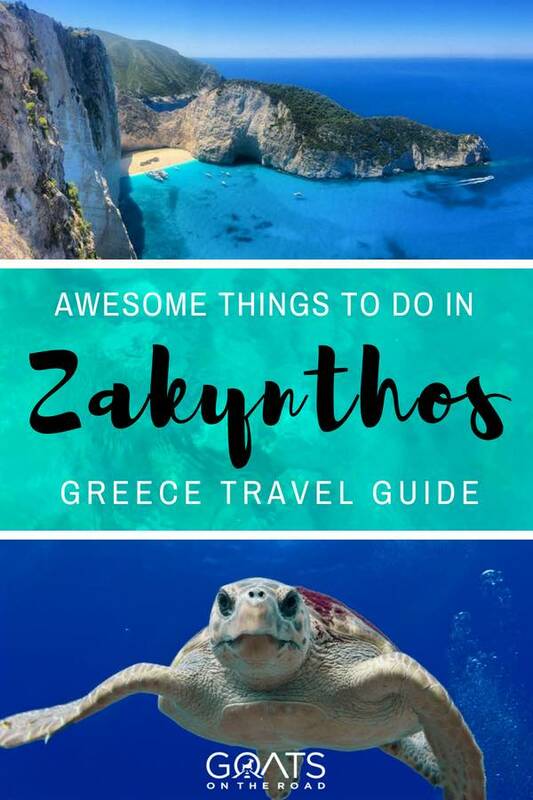 There are so many things to do in Zakynthos (Zante) and I’m going to share our top 15 favourites in this post. This island is definitely one of the best places to visit in Greece. When you hear the name Greece, it likely conjures up images of the white sand beaches of Crete, the stone pillars of the Acropolis in Athens, or the whitewashed buildings of Santorini. 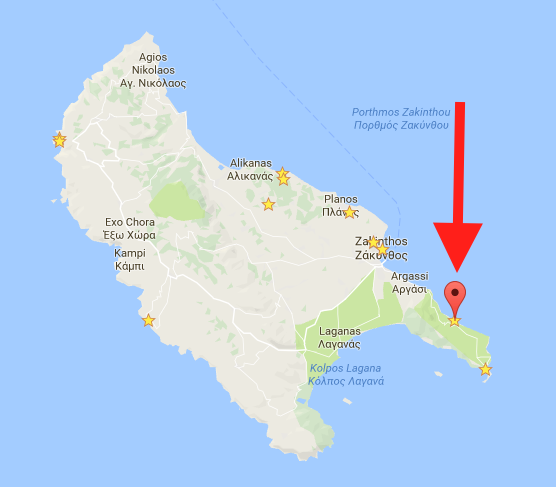 But, there are over 6,000 islands in this Mediterranean archipelago to choose from, and Zakynthos is a small hidden gem amongst them. Many travellers from the UK and parts of Europe have already discovered this Ionian beauty, which lies west of mainland Greece, but for North Americans and travellers from other parts of the world, this could be the first time you’re hearing about it. 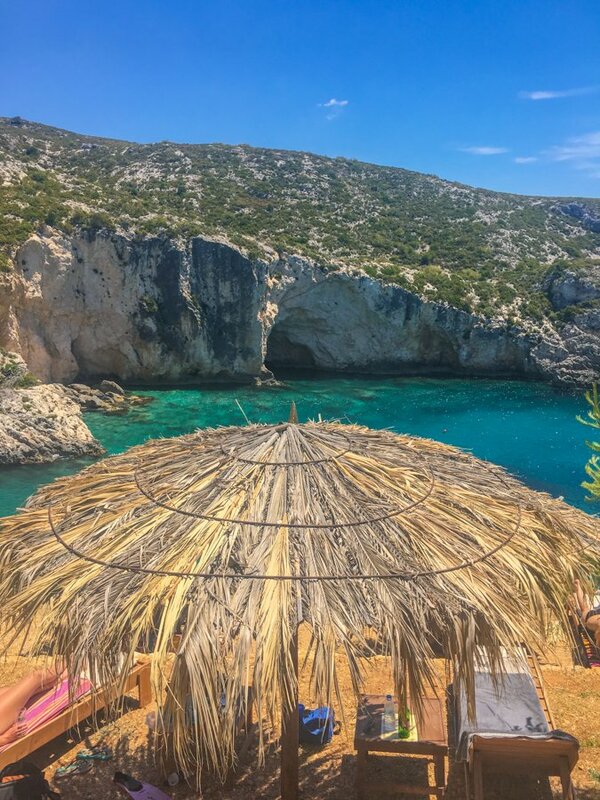 Blessed with a jagged coastline, picturesque villages, a hilly interior and a few of the best beaches in Greece (namely Navagio Beach), Zakynthos quickly became one of our favourite islands in the country. Small enough to easily navigate by car, but large enough to offer a diversity of landscapes, villages and coastlines, this Ionian island should feature prominently on your next Greek Itinerary. 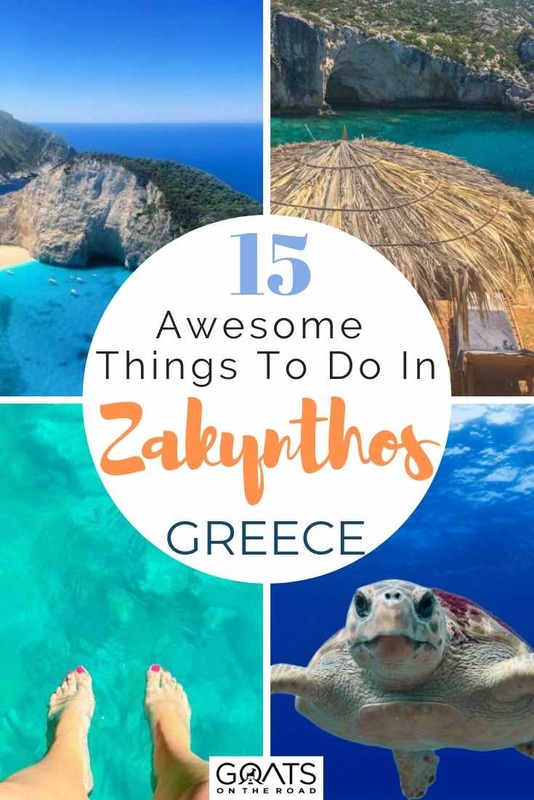 In this article I’m going to list 15 of the best things to do in Zakynthos so that you can get an idea of what’s on offer here. You’ll notice that many of the things to do in Zakynthos are beach-related, as this is what the island is best known for. You won’t find the history of Crete, the cool architecture that’s famous on Santorini, or the culture and towns of islands like Lesvos, Chios and Corfu, but “Zante” offers the perfect relaxing holiday spot for those in the know. Don’t Forget Your Travel Insurance for Zakynthos! Bonus Tip: car rental in Greece is very inexpensive and definitely worth if for the duration of your stay. 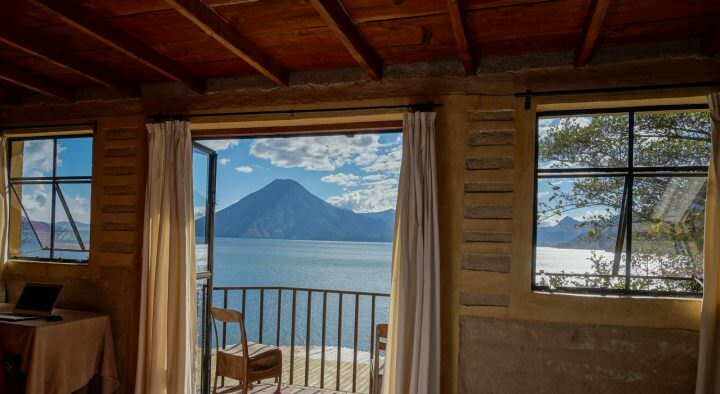 If you rent for 1 week, you’ll likely pay no more than $20 / day (we paid $17) and it will give you the freedom to see all of the sights in this post. Okay, let’s start with the main attraction on the island and possibly the most photographed site in the entire country. This stunning stretch of white sand and impossibly blue water is protected by a natural harbour with terrifyingly tall 200 meter high cliffs on 3 sides. Set smack dab in the middle of the sand is a decaying ship. A (false) rumour has it that this was a tobacco smuggler’s ship that crashed into the beach during a storm, when in reality it’s just a cargo boat that ran ashore. Whether you believe the romantic story or not doesn’t matter, the massive ship resting on the sand definitely adds to the charm and allure of this spectacular sight. There are two ways to see Navagio Beach, either by sea or from the top of the cliffs. There are no roads leading directly to the sand, so to swim in the water and see the shipwreck up close, you’ll have to take a boat tour. 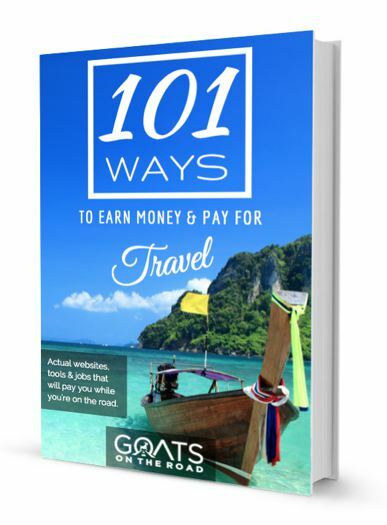 These can be hired from different towns around the island. If you have a car, then your cheapest option will be to drive to the closest cove to Navagio Beach and hop on a boat from there. In Porto Vromi (just south of Navagio) you can take a boat tour to Shipwreck Cove for around $25 / person. Learn more about the tour here. To see it from above (highly recommended), you’ll have to drive your car to the viewing platform at the north end of the island. It’s really easy to get here by car as there are signs everywhere and it’s well-marked on Google Maps (Click Here for the exact location). The parking lot is right next to the platform, so you can drive right up, get out of your car, snap a few photos and then drive off. Please note: The best views are from the cliffs to the right of the platform and you may see some people clambering along them to take the perfect selfie. Tourists have recently died falling off of these rocks and it is not recommended to venture beyond the platform. These cliffs are over 200 meters high and a slip is sure to be fatal. Stay on the platform. 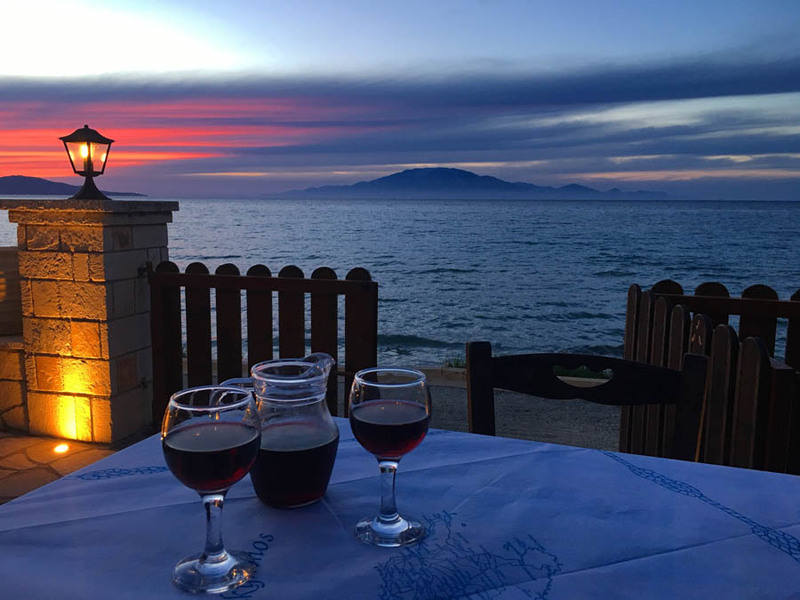 Without a doubt this small, Greek-run restaurant has the best views of Zakynthos’ rugged interior. Pick a table along the deck and peer over the cliff down towards the farmlands below and the Ionian Sea in the distance. The food here is fantastic, the service is great and it’s the perfect place for sunset. We recommend the roast lamb (€9) and the beef stew (€8). Both are absolutely delicious. 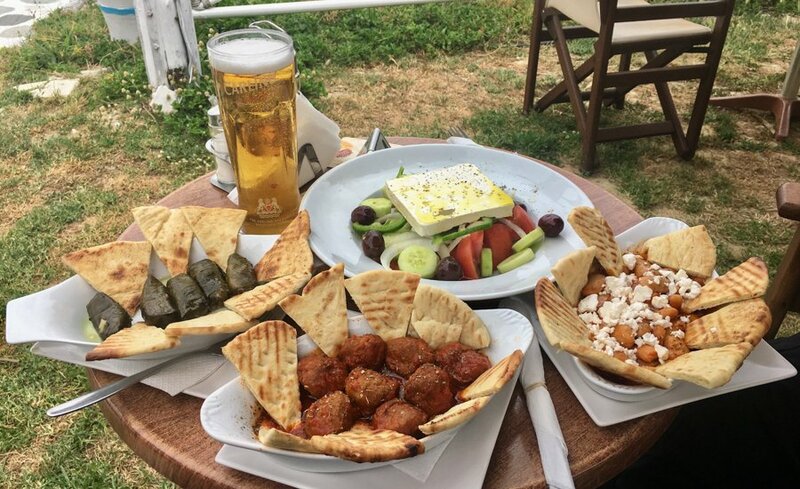 Beers are around €2.5 and appetizers are just €4 each. Usually at a place like this, you have to pay extra for the food because the view is so good, but that’s not the case at Lofos. You’ll also likely get a free dessert, so you may not want to order one! Another incredibly scenic beach on the island of Zakynthos, this secluded cove is guarded on three sides by large cliffs, the water is beautiful and there’s even a sulfur hot spring here (which explains the strange smell). 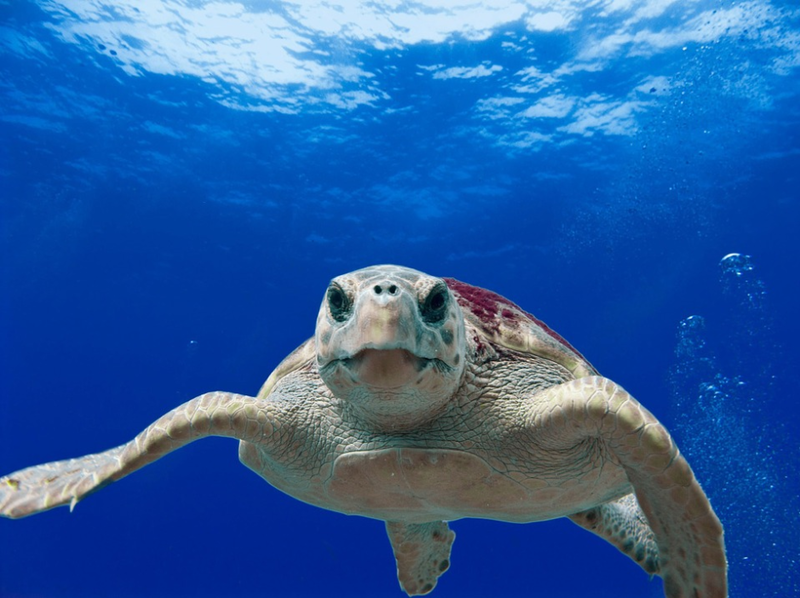 The reefs and beaches around Zakynthos are home to one of the oldest lifeforms on Earth, the Loggerhead Sea Turtle. This beautiful creature can be spotted in the Zakynthos Marine Park or coming ashore to lay eggs in the evening on many bays (even popular ones) around Zakynthos and surrounding islands. You’re likely to spot a turtle at some point during your trip to Zakynthos, but to better your chances you should definitely hop on a boat and go find them. 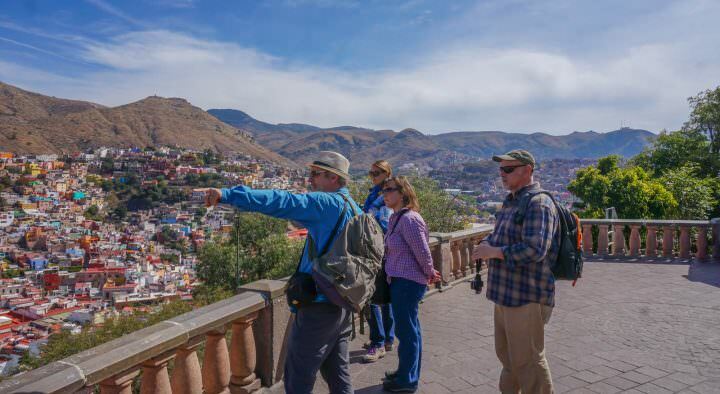 Tours are around $30 / person, click here for tour information. Make sure you do your research and go with a company that practices safe snorkelling with animals. If you see 10 boats pulling up alongside one turtle with hundreds of people jumping in at once, you should tell the guide that you don’t approve. This stresses out the animals and can cause harm to the ecosystems. You won’t just see Turtles in the Ionian Sea either! There are plenty of soft and hard corals, as well as fish and crustecean life that find a home in the rocky underwater topography near Zakynthos. You can join diving and snorkelling tours with many outfitters on the island. Most charge around €50 for one dive with equipment and around €30 per person for a full day snorkel trip with equipment hire. You can usually get discounts for large groups or for multiple trips. If you can peel yourself away from the beach for a few hours, you may want to consider visiting the old ruins of the Venetian Castle. The Ionian Islands were occupied by the Turks, French, British, Venetians, and Russians at one time, but the Venetians left behind some of the most imposing sites in the form of fortresses on Zakynthos, Kefalonia and Corfu. 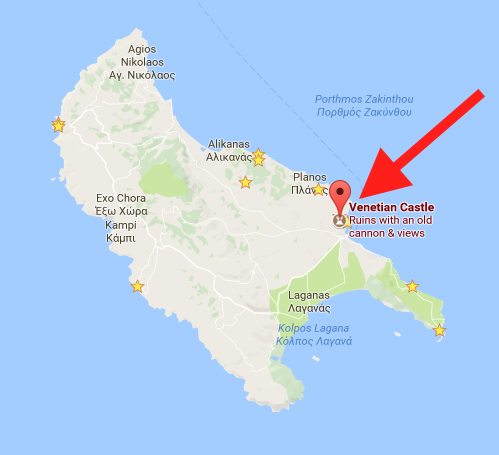 The castle here isn’t as impressive as that of Assos Castle in Kefalonia, but it’s still worth a visit if you’re already near Zante Town. The exact date of its construction is still unknown, but it was destroyed by the invading Turks in 1480, but then restored in 1515. Today it stands as a testament to the former glory of Zakynthos as a Venetian military stronghold and visitors can walk through an old prison, gun powder rooms, bastians, churches and an old sewage system. 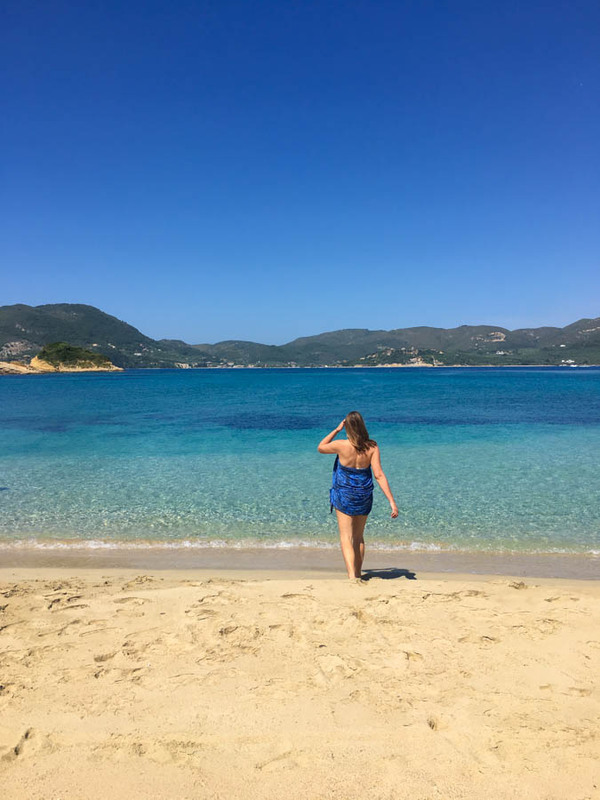 This was our favourite beach on the island, partly because it was one of the most beautiful stretches of powdery golden sand that we found, but also because it was where we found our favourite beach bar on the entire island, Porto Paradiso. This place had delicious food (with a few Greek options), excellent service and cheap beers and cocktails, plus they let us sit on the beach chairs for free when we ordered from the restaurant or bar. The view out towards the light blue water of the Ionian Sea is to die for and the water is deep enough to swim just a few meters from shore. It’s really hard to beat a beach like this! This place on the southwest end of the island is all about the views. You can park your car right next to the cliffs and walk out on the rocks for gorgeous views out over the impossibly blue sea and (sometimes) turtles down below. There’s also a lovely lighthouse nearby and the town of Keri itself is also worth a visit. The Keri Cliffs are also one of the best sunset spots on the island as (on a clear day) you can watch the massive orb kiss the sea on the horizon as the sky lights up with brilliant oranges, reds and purples. 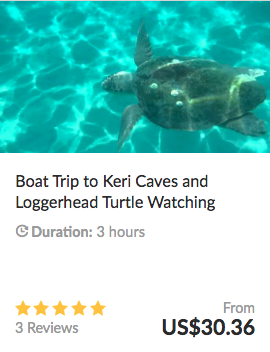 You can also join a boat tour which takes in the Keri Caves as well as turtle spotting. 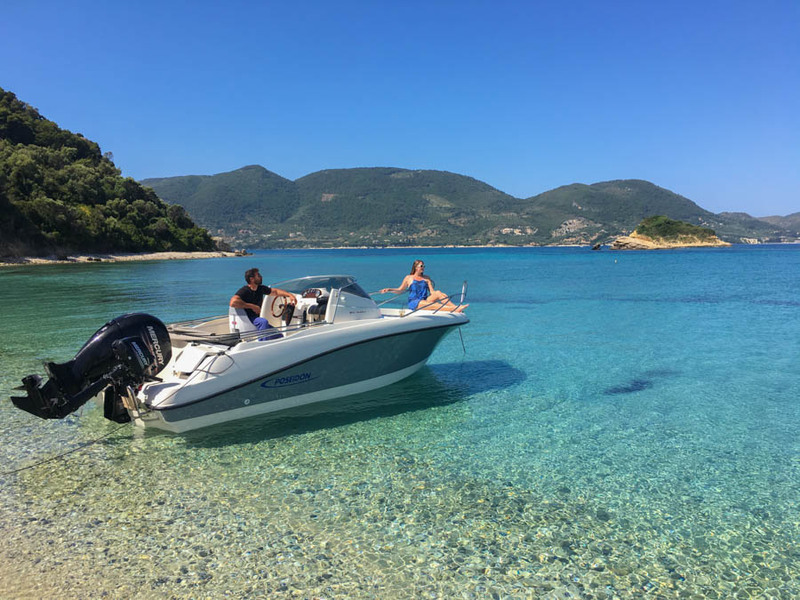 We did a private boat tour (with captain) around the island with Luxury Island Events and it was a lot of fun, but we recommend renting a private boat for just €80 / day plus gas (usually €40) and drive around the coastline yourself! Due to heavy winds and high waves, you probably won’t be able to take the boat to Shipwreck Cove, but you can rip around to different bays, anchor up and swim with nobody else around. 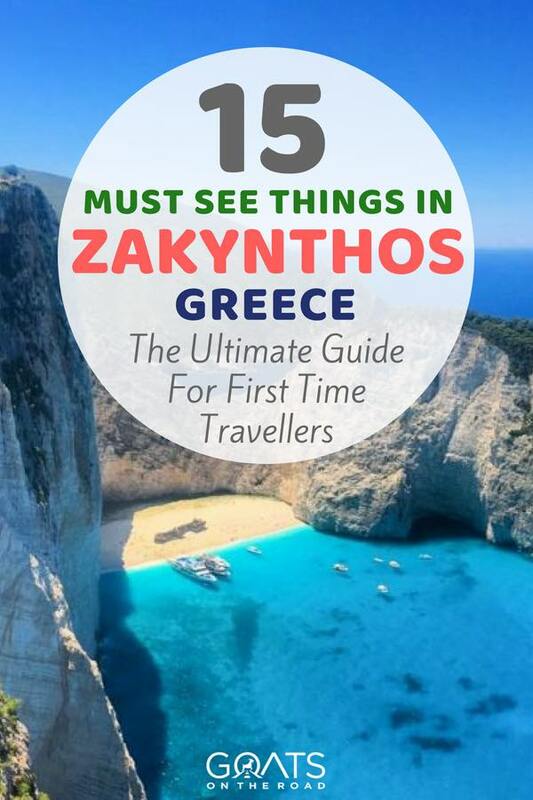 This is definitley one of the best things to do in Zakynthos! We ended up doing this on Corfu Island and it was honestly one of the best days we had in Greece. If you plan to bring snacks and refreshments on the boat with you, then you might as well pick up a small foam cooler from the grocery store for about €10 – €15. Then you can have some ice-cold beers and lunch while you’re floating out at sea! You don’t need a licence to rent one of these small (40HP+) boats, but it’s recommended that you have a bit of experience driving boats, though it’s not necessary because the captains at the shop will show you the ropes. These boats are the perfect size for 2 – 4 people and if you split the cost, it’s extremely affordable, especially considering Jetskis and Sea-doos usually rent for $50 / hour in other parts of the world! 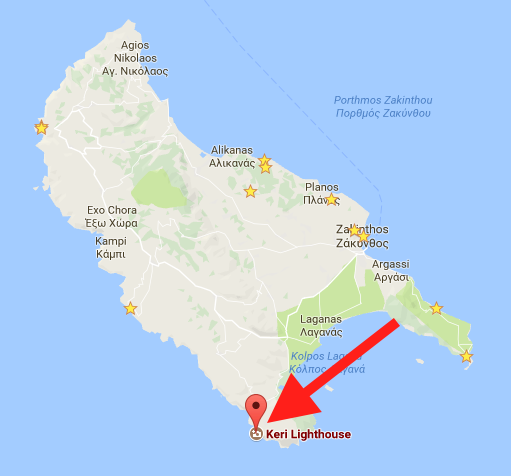 If you pick up the boat from the Keri Harbour, then you can drive the boat around the south, east and west ends of the island. Make sure you stop in on Turtle island for a swim on a stunning beach. We really can’t recommend this enough! Click here to book your own private boat with Luxury Island Events. 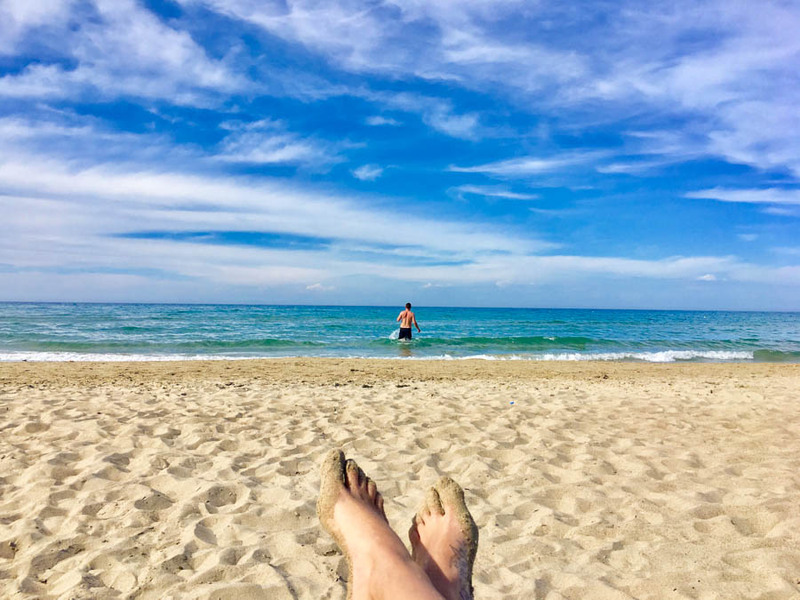 Pronounced (Yer-ak-as), this beautiful stretch of sand in the far southeastern end of the island is the perfect place to relax for the afternoon. The sand here is a reddish color and so are the surrounding cliffs, but the water is crystal clear and it’s relatively quiet here. You can rent reclining beach chairs for €4 each, but there is no food or drinks served on the beach as it’s a marine protected area (turtles come here to nest from time to time). If you want any snacks or refreshments, it’s best to buy them from the shops at the top of the hill before walking down the stairs to the beach. The water here is very shallow, but gets deep enough to swim about 100 meters out from shore. Chillin out on beach chairs here is one of the most relaxing things to do in Zante. This is definitely one of the most scenic coves on the island, and on an island blessed with countless picturesque bays, that’s really saying a lot. Limnionas is a deep natural harbour surrounded by multicoloured cliffs and some of the clearest water you’ll see. The green rocks reflect the sun from below and light the sea up like an aquarium. You can relax at the Limnionas Tavern and choose from dozens of sun beds (€4 each) hanging over the edge of the rocks looking down towards the sea. The tavern here serves up reasonably priced food, cold beer and tasty drinks. In our experience, the food was not that great, but the view is superb, so it’s a great place for a drink. 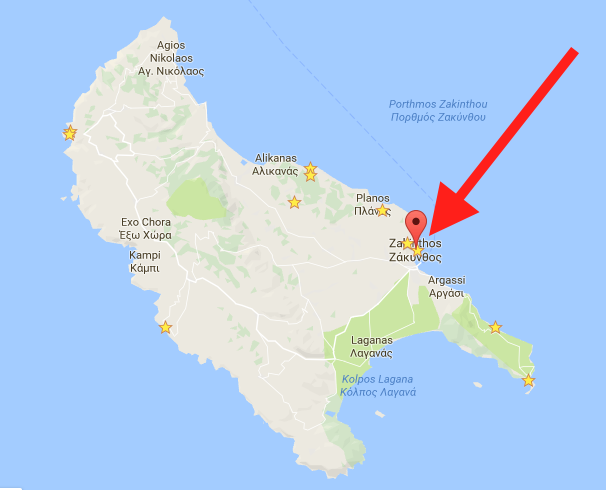 Definitely not the most scenic city in all of Greece, Zakynthos (Zante) Town may not immediately charm visitors, but it does have its own local flare. There are numerous restaurants here, a few pedestrian only streets and a beautiful seafront promenade that faces a natural harbour filled with parked ferries, fishing boats and sailboats. There are a couple of large open plazas and plenty of shops and markets. Most of what you’ll ever need can be found here. We didn’t hear many positive things about Zante Town prior to visiting, but we actually really enjoyed walking around this seaside capital. Yet another breathtaking cove, Porto Azzuro is great place to chill out for the afternoon. There is a cluster of rocks in the water at the south end of the beach that makes for great snorkelling and excellent photos. The water here takes on a greenish blue hue and there’s a decent (but overpriced) beach bar here called Porto Azzuro Beach Bar. You’ll have to pay for sun beds (€5 / day) even if you choose to eat at the bar. Bring a towel and lay it in the sand for free and enjoy a relaxing afternoon. If you order food, you can sit at the dining tables for free in the restaurant and look out at the stunning view over the bay, just not the sun beds. Another long stretch of golden sand, just a few hundred meters south of Porto Azurro, Banana Beach has a better (and more affordable) beach bar on a hill overlooking the bay. The beach itself might not be as scenic as Porto Azurro on a clear day, but the sand here is soft and there are sunbeds for rent as well. 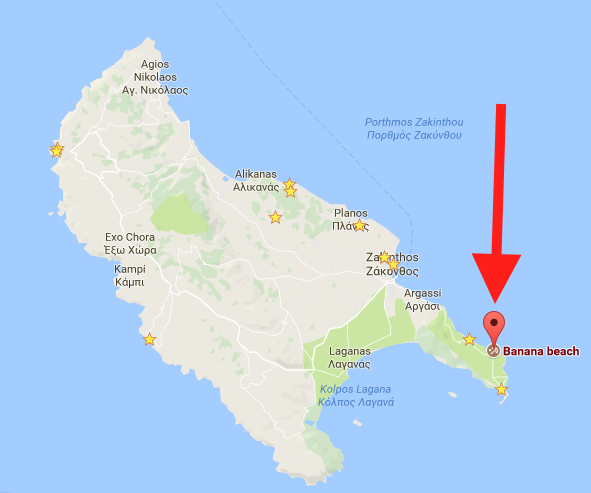 There’s a free shuttle bus from the town of Argassi to Banana Beach, leaving the town at 10:45am and returning at 4:00pm. Another excellent spot for a meal, Taverna Psarou is set just inches from the sand of Psarou Beach. The beach itself is nothing to write home about, but the setting of this tiny, family run tavern is one of the best on the island. The food is good, the prices are decent and the service is excellent. As the sun dips low in the sky and the clouds light up, the staff light small candles on the tables. Eating with the sound of the Ionian Sea lapping up on the sand just meters from your table is what makes this spot so amazing. Sunset dinner here is one of the most romantic things to do in Zakynthos. Not many people come here, so it’s a hidden gem on the island. Tsilivi Beach is a long and lovely stretch of sand with a lot of beach bars spilling out towards the water. The beach itself is beautiful and this is the most happening spot on the east coast. We highly recommend chilling on the beach chairs near Andreolas Luxury Suites and having some cheap (€2) cocktails from their beach bar! 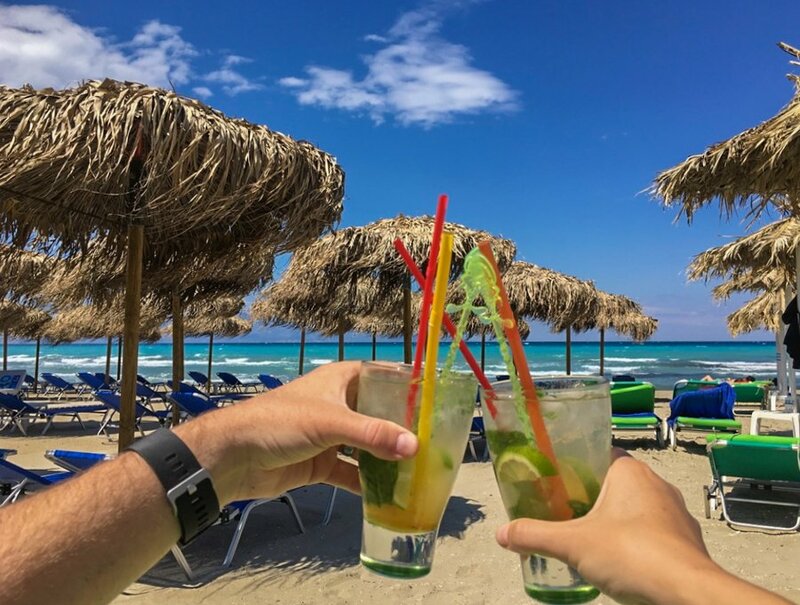 If you’re wondering what to do in Zakynthos, head to this beach for a day of relaxation, swimming and cocktails! The town of Tsilivii also has a lot of restaurants including a few of our favourites. 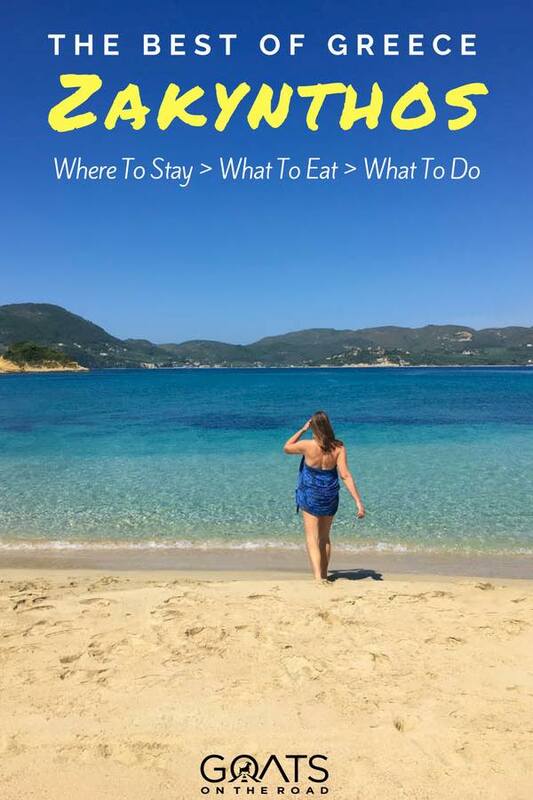 See the bottom of this post for our favourite places to eat and drink as well as some other traveller tips. 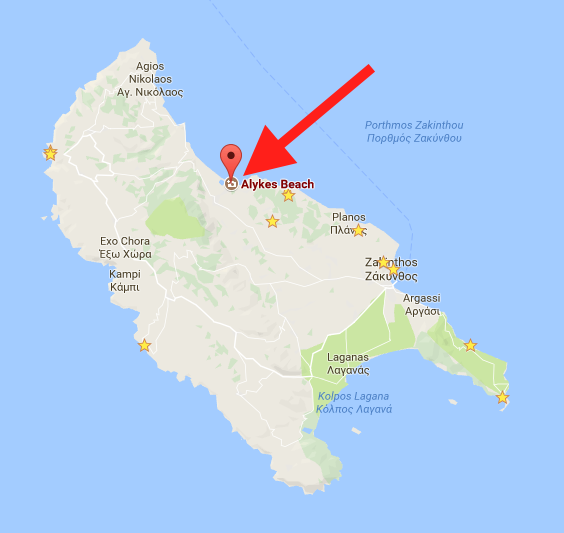 It’s all about cheap apartments in Zakynthos! 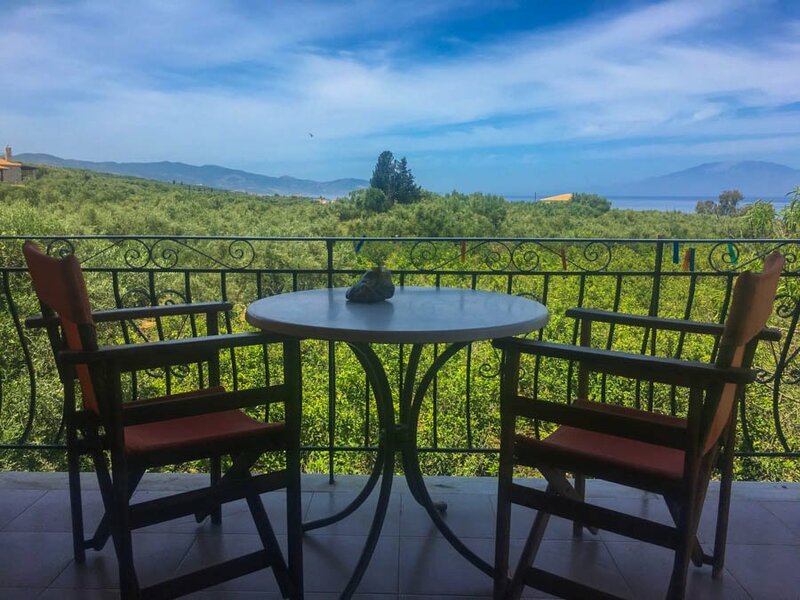 We had a beautiful, newly renovated studio with a sea and olive grove view at Katerina Rooms near Psarou and it cost us just €20 per night. 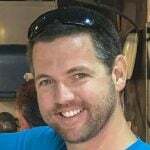 You can find a ton of other affordable places (especially in the shoulder / off-season) on Booking.com. 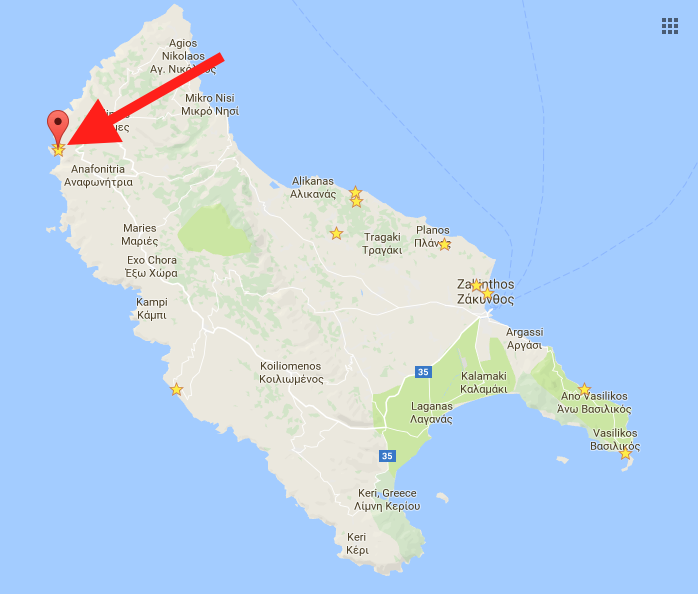 As I mentioned earlier, it’s essential that you rent a car while you’re on Zakynthos Island if you hope to see all of the sights in this article. We rented our car with Expedia and opted out of the extended insurance, which meant that the car costed us just $17 / day. You can take minibuses to some parts of the island, but you’ll have to wait on the road for them to come, and they don’t go everywhere. If you’re taking a few buses every day, the costs add up anyways. Even if you’re on a budget, we recommend splurging for a car on all of the Greek islands. 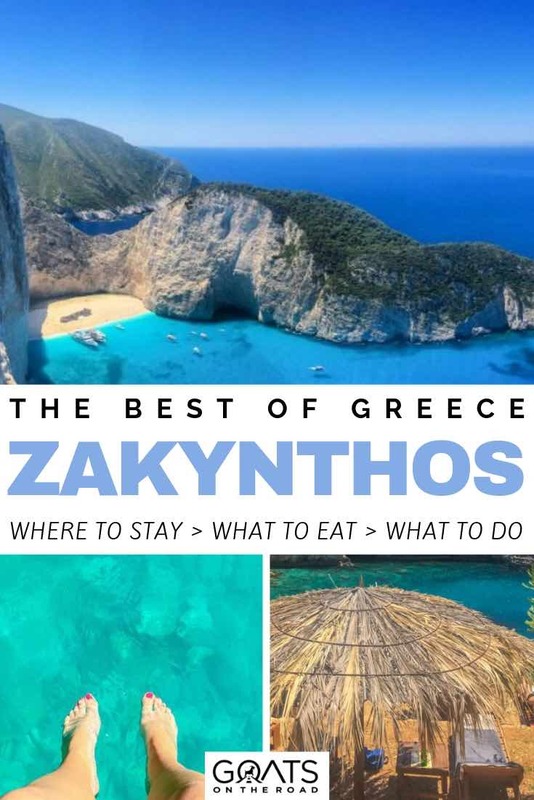 Is Zakynthos On Your List Yet? This island was a real surprise for us. We hadn’t even heard of it before we booked our cheap flight from London and headed there for 9 days, but we loved it. 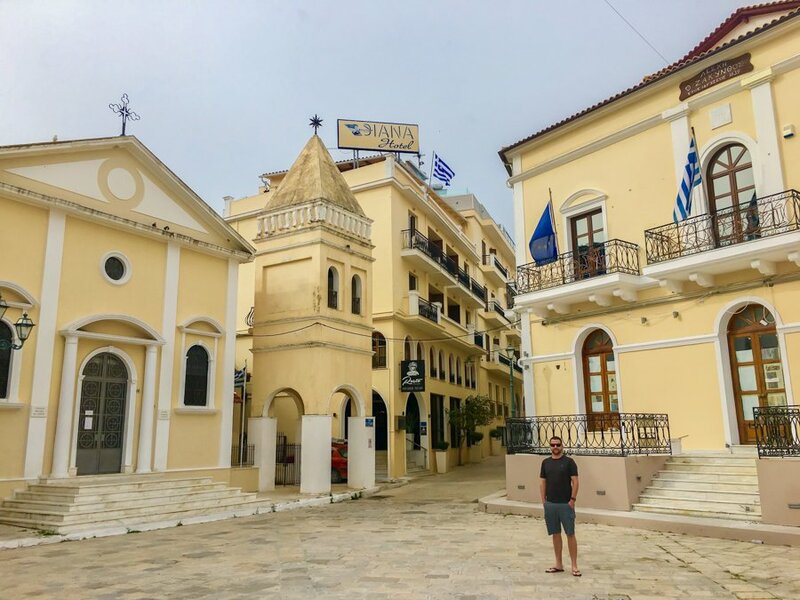 Zante has hundreds of cheap apartments available, and while there’s not as much history and local culture as other Ionian Islands, it still has a lot to offer visitors, especially those looking to laze on beautiful beaches and eat delicious Greek food. It may not be a history buff’s paradise, but there are many things to do and it’s the perfect holiday spot for those looking to relax and soak in the Mediterranean sun. 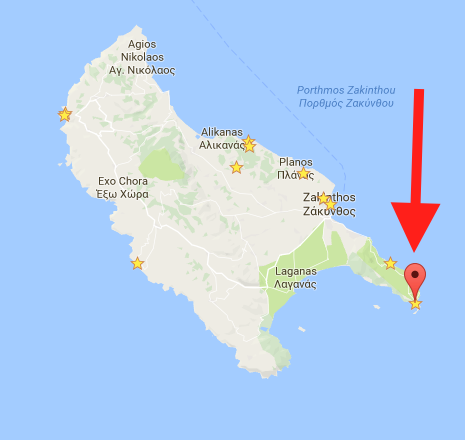 I never knew you could dive at Zakynthos..thanks for the tip. I was looking for a place in Europe to do some diving. It looks an amazing place to visit and explore these each and every things that you have mentioned, loved it a lot, thanks for this post. Have you been to Kaminia beach, which is the first turning down a steep slope, just past the Winmill Taverna and Retaurant in Vassilikos. The Windmill and the beach are run by the same family. Fantastic beach and bar and up on the main road is the Windmill Retaurant, very good food. You will need a car, it’s a very steep road down to the beach. You can also stay there. There is another lovely beach we go to in Vassilikos called Plakka beach, lovely beach, clear water. Nice restaurant for lunch and a bar. It’s also family run. These places are all lovely and worth checking out. Greece is a Wonderful country. After Your tour, you have a make a perfect plan. You give us 15 things to do there. Their weather is wonderful, I have also a plan.Now I want to share with you. I want there cooking. Can it possible there? I am very excited. I will wait for your reply.Thanks for sharing your great post and tips. Hey Nick, great article! We’re going on Zakhyntos this july, can you please give me some contacts for this kind of inexpensive rentacar, as you get it? Thanx, A.
I am new to your blog. 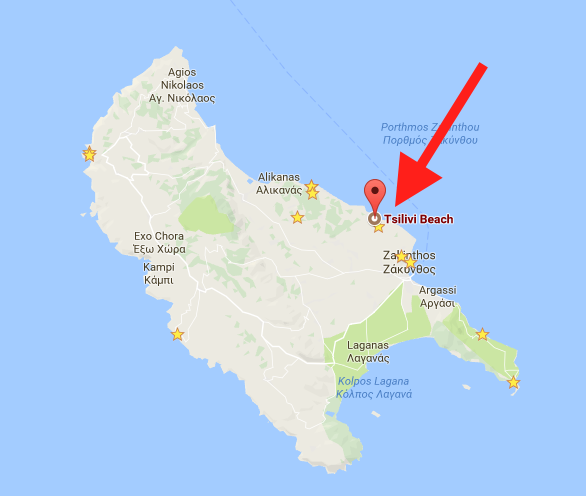 A Greek friend of mine recommended this island, as i am travelling in August this year. I was thinking of Milos & Paros for 3-4 days on each. 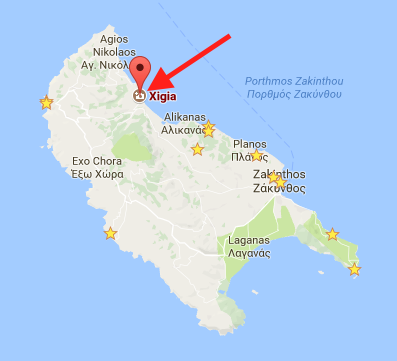 Have you guys been to these island. 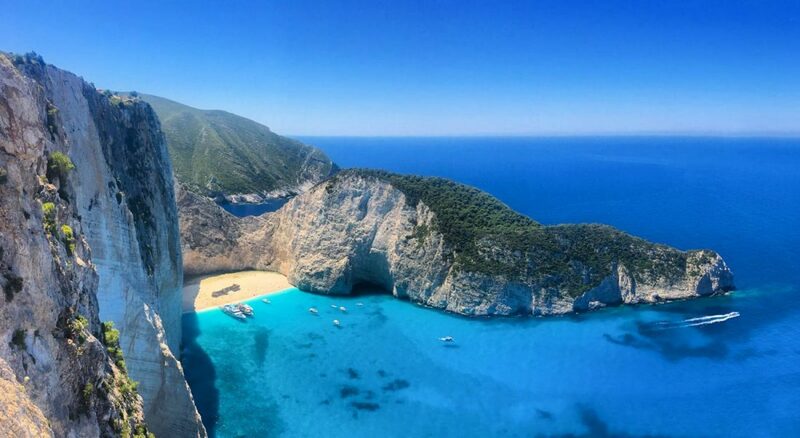 My friend told me that 7 days on any of the islands too much, as i was thinking of just going to Zakynthos only. what is your recommendation ??? Please help me decide !!! No, we haven’t been to Milos or Paros. 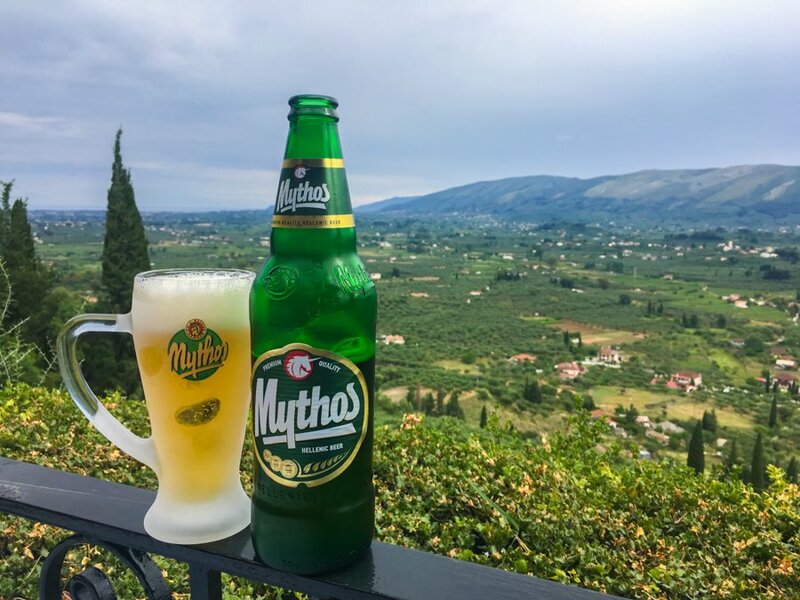 We spent 10 days on Zakynthos and enjoyed it. We like to travel slow, however, and enjoyed having a rental car to explore. There is a LOT to do in Zakynthos and in my opinion, you could easily spend a week on any of the Greek islands. Wow. Now I am so looking forward for Zakynthos. We are travelling in first week of April. Will it be too cold for a snorkel/dive ? 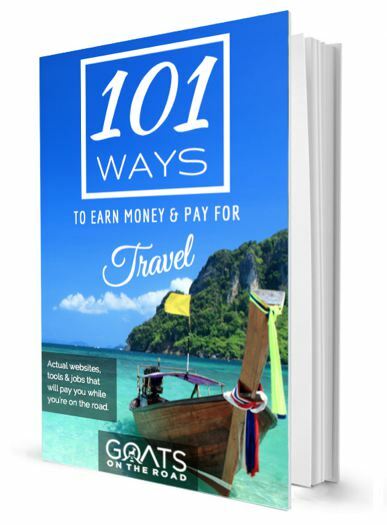 hey Goats, thanks so much for your videos on Zakynthos and Kefalonia. they’ve been great planning tools for me and my girlfriend. 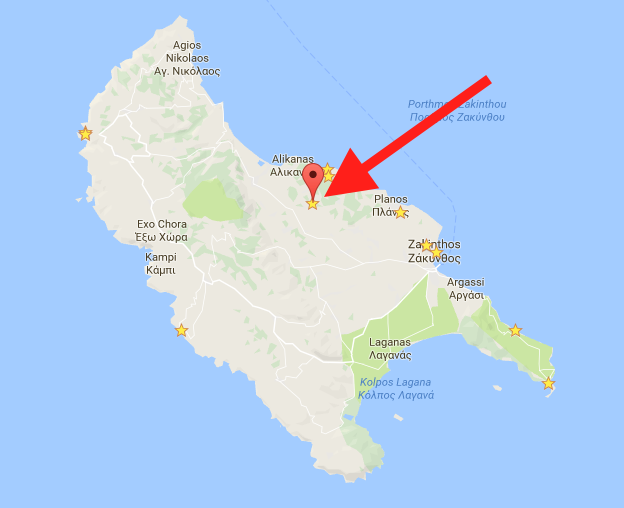 question: how did you secure your spot on the ferry from Agios Nikolaos to Pesada (that’s the one you guys took right)? it doesn’t look like there are any options to buy in advance online. we’ll be there mid-September. are we ok just figuring it out once we’re actually on Zakynthos? Hi, where did you stay on Zakynthos? Some interesting ideas here, but take the prices quoted with an extremely large pinch of salt! Which prices do you think aren’t correct? Thank you. To those who haven’t visited yet: should definitely rent a car or a quad to get around more easily! This allows you to access all these wonderful, beautiful places when you see fit! At some of the beaches, you can also rent a small boat (no license required) and explore the (safe) sea for yourself! I added a website which includes some more information, as well as some more beautiful pictures – although it’s hard to match the ones on this page! Zakynthos is also known as the island of singers. Men like to gather in bars and sing together. I went into such a bar just as the bartender was organizing a mini-songfest: “Sing a song from where your home is.” In the bar were me (Canadian), a French man, a German, a Dutchman and several Greeks. Everyone who sang got free lunch and drinks. I also lined up a free place to stay on the island, just for contributing a song and singing along with others. Did you pick the rental car up on Zakynthos or do you rent it on another island and drive it on a ferry? We picked it up in Zakynthos at the airport. 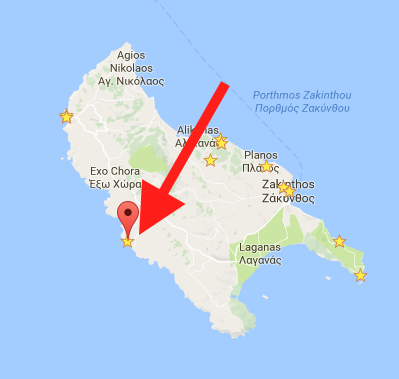 Could you please advise, from which company you rented a car in Zakynthos? 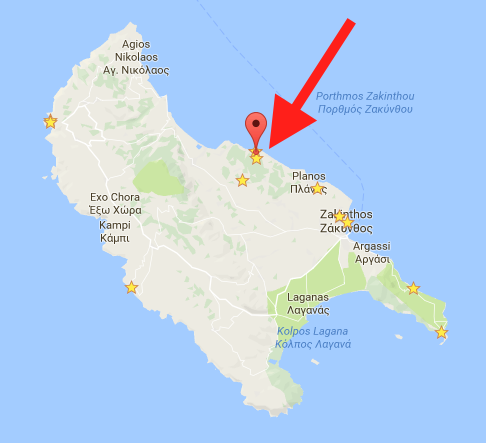 I was amazed with this story and finally booked my holiday in Zakynthos this summer. Looking forward and counting days…. Thank you!! !